The last bit of the trip…. 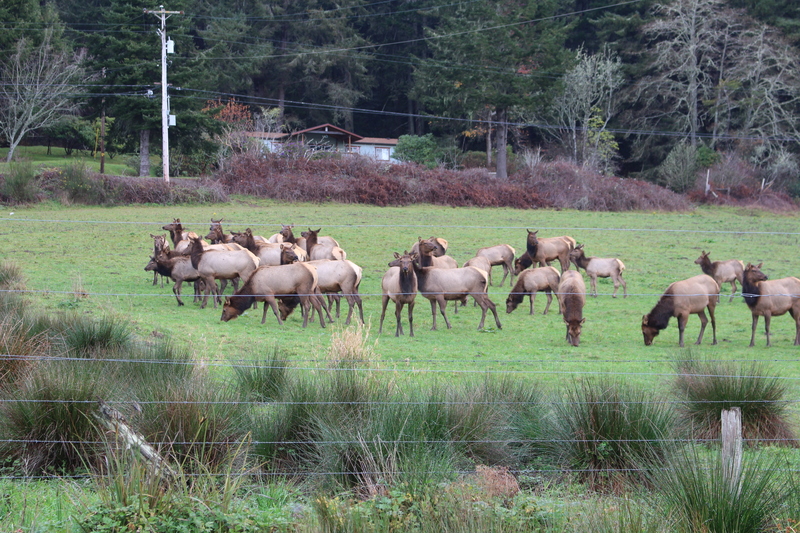 We had seen the sign posts everywhere for Elk, Elk crossings, warning;Elk!!! 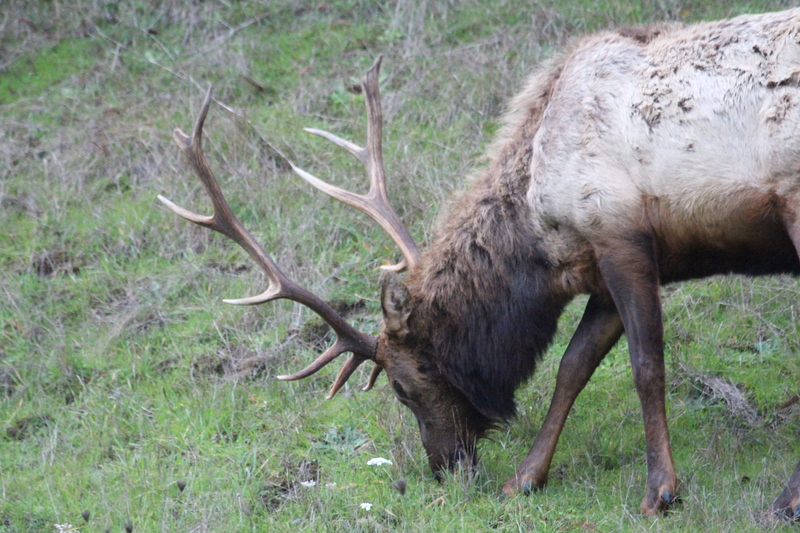 but we had not seen any as yet until in Oregon, just north of the California border. 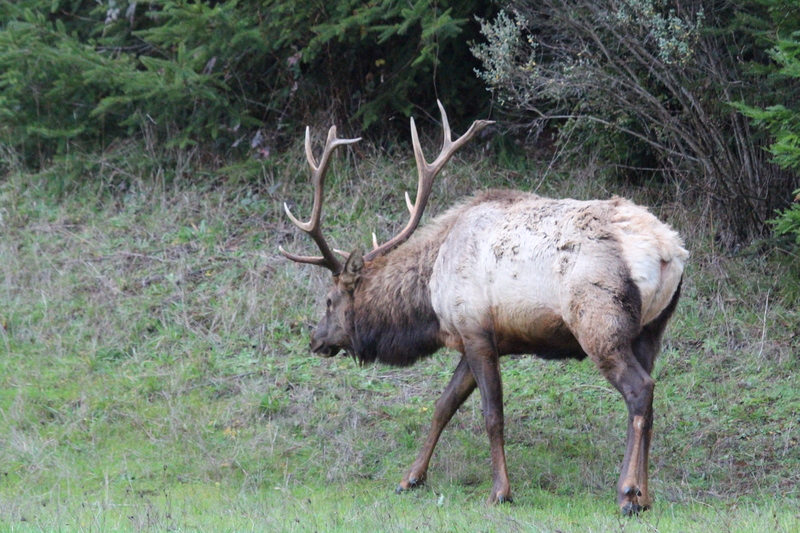 We were close to Meyers creek, following the ocean side, when a beautiful, very large buck came out of the woods,standing there, looking so proud. A bit further on, in a farmers field, stood all of his ladies, no wonder he looked so proud, they were all beautiful animals, well filled out, some with young ones, some still with large bellies, they looked at us with very mild interest, and then continued grazing.